...that is still being fulfilled to this day. All around the world, ILE DE FRANCE® offers products of unique quality, with a wide range of selected, carefully chosen imported French cheeses, helping you discover gourmet food, expert knowledge and the French way of life. ILE DE FRANCE® imported French cheeses worthy of your special moments! A prodigious innovator, M. Schratter was the first importer to negotiate with the "Île-de-France" liner, newly fitted with refrigerated storage: together, in 1936, they were the first to bring Brie, the delicious "King of French Cheese", to America. 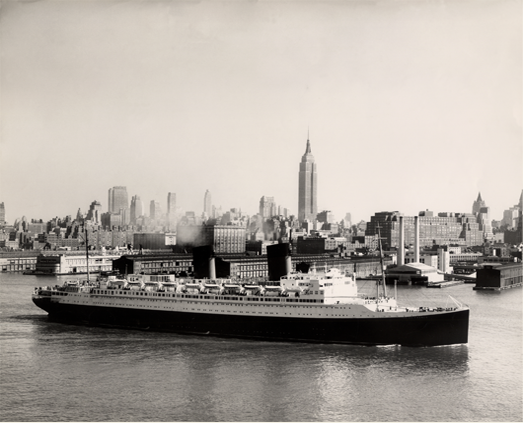 Brought into service in 1927 by the Transatlantic General Company, the Île-de-France starts its inauguration trip between The Havre and New York on June 22nd, with a team of 761 members. Constructed steel for a 231-metre length, it becomes for a while, the biggest liner of all time. Innovating all over its decoration "Art deco", 1200 passengers discover aboard all comfort and necessary luxury for a long trip. Introducing high French gastronomy, it is on this last when the Brie cheese will be transported towards America for the first time. Today, ILE DE FRANCE® offers high quality French cheeses to make discover in 4 corners of the world of nice French tastes. ILE DE FRANCE®, imported French cheeses worthy of your special moments! The Île-de-France was a liner belonging to the Compagnie Générale Transatlantique Line. For a while it became the best liner plying the Atlantic. Its style was innovative – it was decorated in the first major expression of Art Deco, and the phrase “Liner Art Deco” was even coined. The carefree, inter-war atmosphere of the twenties and thirties ruled aboard the liner. In the US, it was nicknamed "The Longest Gangplank" during Prohibition because alcohol was served aboard; passengers were considered to be in France – the land of good living – straight away, long before arriving at their destination. During the Second World War, it served to transport American troops to Britain. The many spectacular rescues staged by the Île-de-France earned the ship the nickname “Saint-Bernard of the Seas”. After rescuing the passengers from the Andrea, the Île-de-France sailed triumphantly up the Hudson for a third time, flanked by tugs. The liner is the only ship to have been accorded such an honour. In a tribute to this ship that was as famous as it was prestigious, our products bear its name, a reference to the refined luxury of the 1930s and the lifestyle aboard these liners of legend. 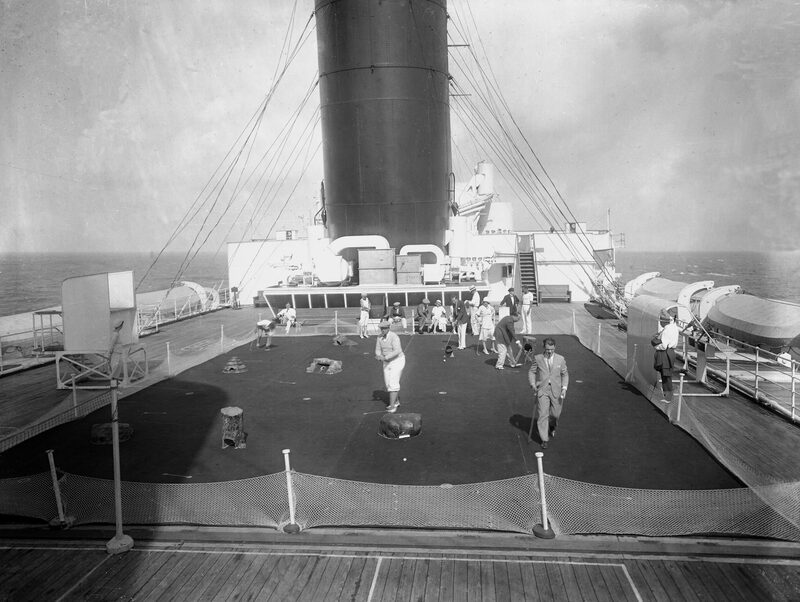 Having become veritable floating cities, with every comfort and luxury required on long voyages, transatlantic liners were equipped with everything on board. 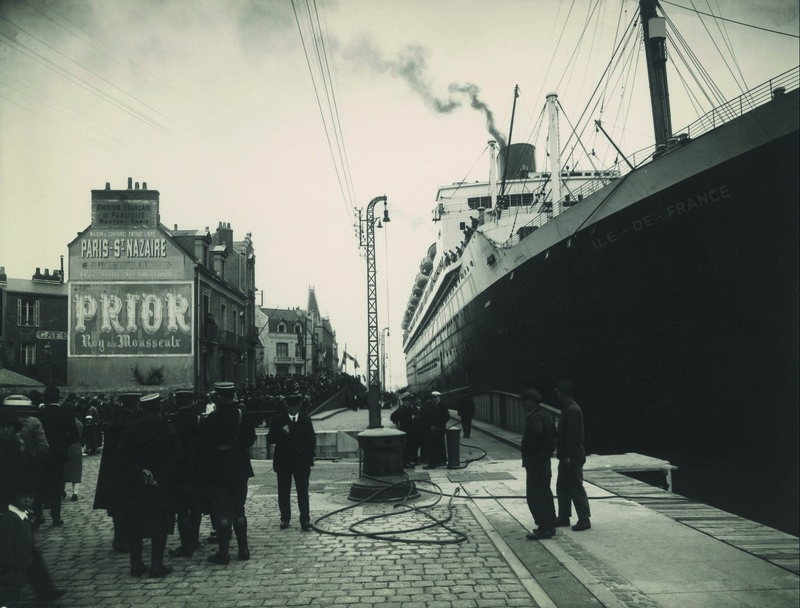 Find out what life was like aboard the transatlantic liner, Ile-de-France, on a delightful, fun-packed voyage: With concerts and shows, there was no lack of entertainment aboard the Ile-de-France, which was the best of its kind at the time, using the very latest technology. Below decks, while women took a break in the sauna, relaxing while discussing the news, the crew printed the latest stories received over the radio about the program and activities available aboard. Towards the stern of the ship, the men gathered in the café that served as a smoking room, bar and lounge. And the children aboard couldn’t wait to meet up and enjoy the variety of merry-go-rounds on offer! There was even a hairdresser’s and branch of the Le Bon Marché Paris store! When the time came for families to get back together, they could dine in one of the liner’s restaurants before ending the evening with a stroll on deck. Lastly, for those troublesome everyday ills, the ship’s doctor, nurse and pharmacy remained on hand for those suffering most. 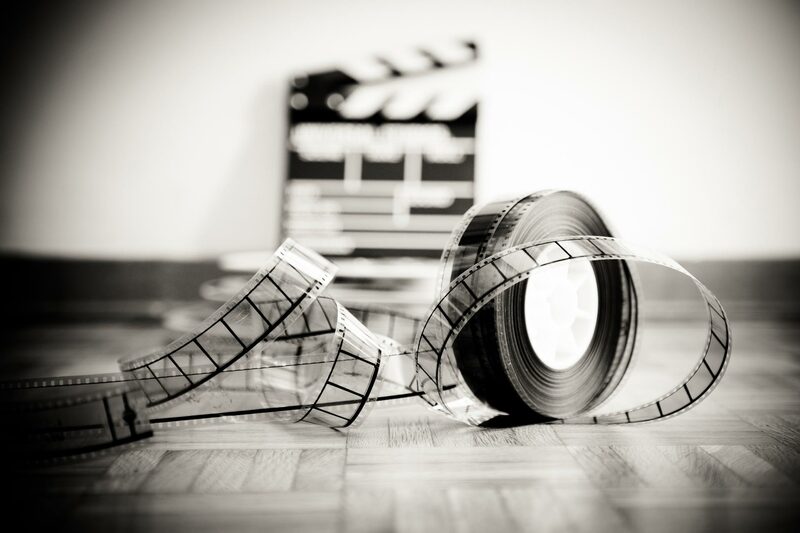 From the most magnificent ships to the most tragic shipwrecks, movies have closely followed the history of transatlantic voyages (from the 1930s to the 1950s). For a chance to admire the magnificent transatlantic liner, Ile-de-France, watch the American film, The Last Voyage (1960), in which you see the real ship, used by the film-makers for just a few days before it went to the scrapyard. 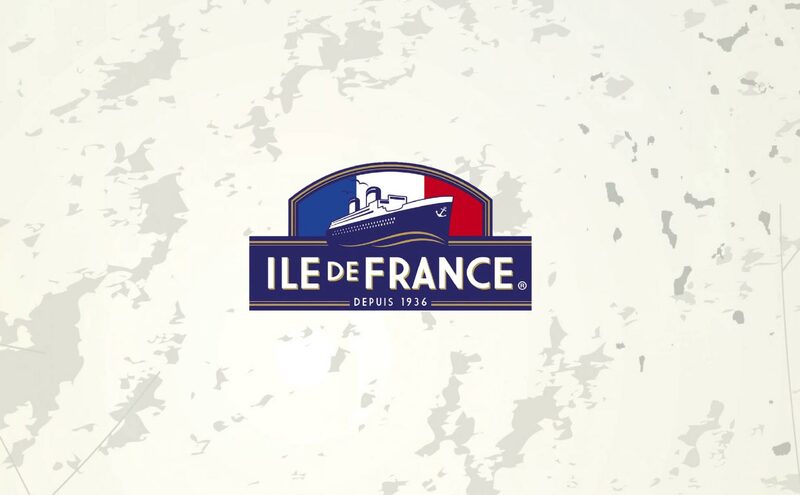 People often notice the liner and the red, white and blue flag that appear on the label of ILE DE FRANCE® cheeses. The French origin, liner and stamp represent are symbols of importation… Behind the logo lies a fascinating story, born from one man’s passion for cheese.